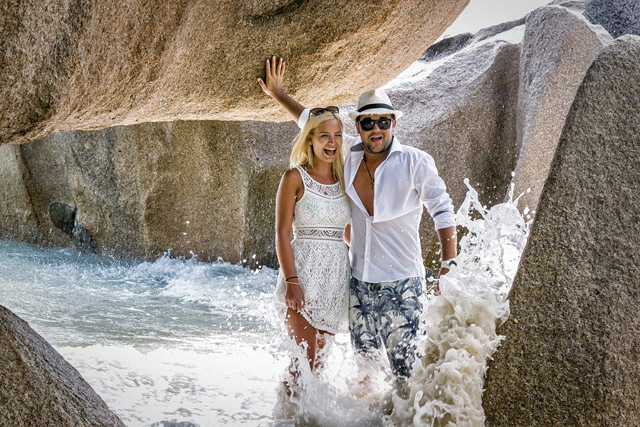 (Seychelles News Agency) - A couple from Romania who recently honeymooned in the Seychelles will soon have the chance to do it all over again. This time, though, they will enjoy a free, all-inclusive VIP holiday. The Seychelles Tourism Board announced on Friday that Bogdan Matei was the winner of the first ever ‘My Seychelles Experience’ -- an international video competition launched in July 2015. Matei’s two-minute video-montage was among 47 submissions. It shows bits and pieces of his honeymoon, including snorkeling trips and boat rides, days enjoying the powder white beaches and turquoise waters together with his wife. Wildlife, including the giant tortoise and other features of the island nation also feature in the video. The Matei couple travelled to the 115-island archipelago in the western Indian Ocean in September 2015. 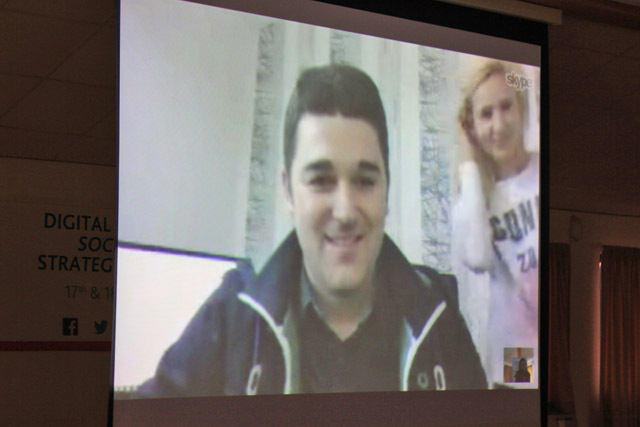 Bogdan Matei told SNA that they stayed on the main island, Mahe, as well as on Silhouette and St Anne. “Is it real?” was Matei’s first reaction, when he was told the good news by the Seychelles Tourism Board’s Chief Executive, Sherin Naiken, on Friday afternoon. 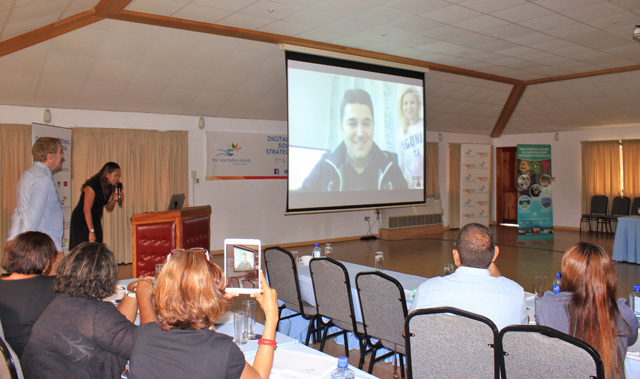 Naiken had contacted him through Skype in a room full of owners and representatives of tourism businesses attending a workshop to upgrade their digital marketing and social media skills, which was the platform chosen to announce the winner of the video competition. “I feel amazing. I have been waiting for this for a long time, I’ve been dreaming of it – can’t believe it,” said an overjoyed and excited Matei. The prize includes business class air tickets to Seychelles for two people, plus VIP transfers upon their arrival to and departure from the islands. The hotel stays will include three nights at the North Island resort – in the presidential villa – the same villa where the royal couple Prince William and Kate, Duchess of Cambridge stayed during their honeymoon. A four-night stay at the Four Seasons resort's luxurious Ocean Villa in the southern part of the main Seychelles island, Mahé is also included. An optional two-day sea cruise exploring the inner Seychelles islands as well as other treats offered by various tourism trade partners are also on the cards. The ‘My Seychelles Experience Video’ competition, which was open to non-residents of Seychelles only, was first announced during the National Day celebrations, in June last year. Visitors had between July 2015 and February 2016 to submit their two-minute videos. From 47 submissions received a panel of judges narrowed it down to 10 videos, and then to the best four, from which the winning entry was picked. “We had a list of criteria, to see if the different aspects of Seychelles were being showcased, if it was an amateur video, but the absolute criteria we were looking for is the true Seychelles experience,” Naiken said to SNA, adding that it was hard work choosing a winner. “There was a tie between two videos, but in the end, the winning entry you could really see them in the video showing their own experience and you can see that they did all the filming themselves,” added the Seychelles Tourism Board CEO. According to Naiken entries were received from various categories of visitors from couples, honeymooners, families among others and that they had used various mediums and technologies to record their experiences. While only an all-inclusive VIP trip was up for grabs at the start of the competition, Naiken announced that the other three other finalists would also be receiving air tickets to visit Seychelles again, as a recognition of their hard work. “It was an excellent competition. In fact the quality of the videos, all of the 47 entries met the criteria. We have copyright on all of them, and we will use the videos in our promotional activities,” Naiken told SNA. The Seychelles Tourism Board has announced the imminent launch of a local version of the video competition for Seychellois nationals. “We have had requests from a lot of Seychellois and now we will be giving them the chance to sell Seychelles to a potential visitor in a 2-minute video.” The details will be announced in a month’s time.